For professional rodent pest control across Wollongong, Miller’s is the place to call! While their domestic counterparts can be cute pets, wild mice and rats cause an array of real problems in the home. They can help transmit serious diseases, damage your property and belongings, and contaminate stored food and preparation areas. Rodents can damage your property by chewing through walls, skirting boards and joists, and cause structural concerns by burrowing under key areas. And, of course, they are notorious for multiplying fast! At Miller’s Pest Control, we set up a guaranteed program to control rodents in a building and its surrounding environment. We’ll also give you advice on minimising the risk of future infestation. Baiting, tracking and traps are some of the methods we can employ for your rodent pest control solution. If you live anywhere in the Wollongong region, call today for your free quote! Property Damage: All rodents need to gnaw. Whether it’s to find food, access nesting sites or just to grind their teeth, rats and mice will gnaw on just about anything they can find. When they get into your house, this typically means damage to areas like skirting boards, drywall, cupboards and anywhere else that seems interesting. In some cases, rodents have even managed to start fires by damaging electrical cables. Contamination: Rats and mice are excellent at getting into food stores, and will make a great effort to chew through any container in their way. A rodent infestation can mean a lot of spoiled food, which is both costly and frustrating. They also expose preparation areas to a host of nasty bacteria and parasites, creating a constant risk of infection or illness. Odour: The distinctive smells of mouse or rat nests are very upsetting to human noses. When you have a rodent infestation, the smell can make just being in your home into a seriously unpleasant experience. And if your building is a business, allowing such a odour is clearly out of the question! Allergies: Like most furry critters, rodents can spell trouble for allergy and asthma sufferers. Between droppings and dander, their leavings can easily trigger a response in sensitive individuals. Related pests: Did you know that it was actually fleas who spread the black plague? Unfortunately, a rat infestation typically comes with a collection of related parasites that can cause even more trouble for your home and family. The most effective way to remove these pests is to clear up your rodent problem as quickly and thoroughly as possible. Store food in glass or metal containers, with air-tight lids. Rats and mice prefer easy meals, and will usually forage elsewhere if they can’t break into your supply. Minimise clutter in and around the home, as rodents often live in woodpiles, stacks of boxes, or cluttered cupboards. Seal pet and bird food, and clean up any spills promptly. Open dog biscuits and spillage from birdseed are both great food sources for rodents. For rubbish, use metal or heavy plastic bins with secured lids. Seal holes in walls and pipes, and use mesh on vents. Be extra careful in the cooler months, when your warm home is especially enticing to rats and mice. With over 30 years’ experience controlling pests in the Wollongong region, Miller’s have the expertise to solve your rodent problem. We’re on time, every time and deliver great service with long-lasting results. 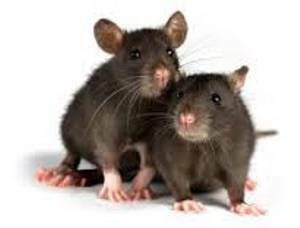 Our rodent control solutions are proven effective, and safe for your family and pets. We can also help with any other pest problems you may have. If you’re located in the Wollongong/Illawarra region and need to get rid of some unwanted furry friends, call Miller’s Pest Control for professional rodent pest control today!